Hi! Great deck. May I suggest a few changes? Cut Savage Stomp and Pounce for any more versatile removal spell such as Chaos Warp or Decimate . Check out my version of Gishath, it may give you a few ideas and you might be able to give me some too. Cheers! Hi! Great deck. May I suggest a few changes? 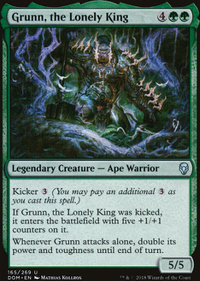 Cut Savage Stomp and Pounce for any more versatile removal spell such as Beast Within or Krosan Grip . Check out my version of Gishath, it may give you a few ideas and you might be able to give me some too. Cheers! Hello! Great deck. 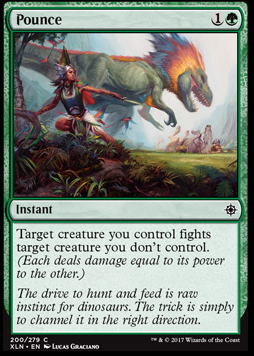 A few suggestions: Cut Dinosaur Stampede for something like Overwhelming Stampede , just ends games better. 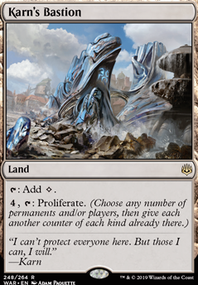 Cut Colossal Majesty for Elemental Bond , the card is just strictly better. 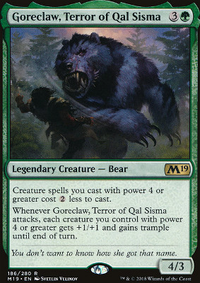 Cut Savage Stomp and Pounce for some other removal that covers more bases and is less conditional ( Beast Within or Krosan Grip ? ), the extra cost means little. Cut Pillar of Origins as it only helps you to cast 33% of your deck. I like Xenagos, God of Revels is this deck, a good inclusion, might have to put it in my list! Have a look at my Gishath and tell me if you have any suggestions, you may get some ideas there also. Another great inclusion is Regal Behemoth as it has been errated to a Dinosaur! Cheers! 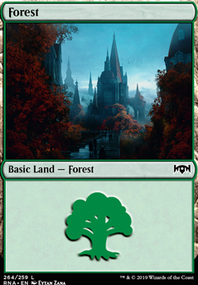 This looks like fun idea, although I think you might be playing too few lands. 18 (plus 2 Sol Ring s) is not enough to be casting 7-drops. I would go up to about 22, maybe more, to ensure you have enough mana to cast your Foe-Razer Regent and Nessian Wilds Ravager . If instant speed matters to you, you could try playing Pounce and Pit Fight . 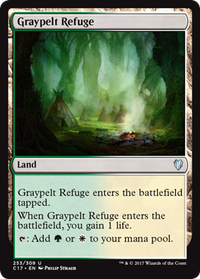 Nature's Way is another very good fight spell, although it doesn’t say fight on it. Good luck with the deck! So I would have Pounce over Prey Upon, because I doubt 1 mana is going to be much of a difference, and I would rather have an Instant than a Sorcery. You would be surprised how nice that can be. Blazing Volley could be nice against the Goblin side of Mono-Red Aggro, as for Burn I would consider Dragon's Claw, or anything that gains life for you. Life Goes On could work too. Although it is extremely off-synergy, Archetype of Endurance would destroy Hexproof Merfolk decks. 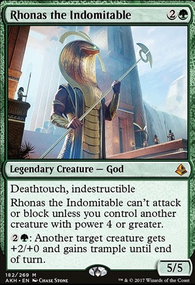 Only drawback is it it being a 8 CMC card. Always an option. Glaring Spotlight could work. Also Boompile too. Also, you don't have much against flying. A few Plummets might be good. 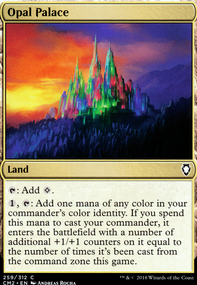 Other than that pretty good for so cheap on TCGPlayer. Nice deck. I don't know what format you are looking at, but there you go. Good luck!